Risk is the subject of discussion in this blog post. Namely, the concepts that constitute risk are outlined: utility, probability, deviations. In short, if the potential profit’s utility doesn’t exceed the potential loss’ utility, one shouldn’t take on the risk, and thus refrain from venturing into the investment. One should only venture into investments in which the probabilities are in your favor, meaning a high upside (gaining profits) is likely while the downside is unlikely (suffering loss). Stocks tend to deviate from the normal, but they often revert to the mean. Constructing a broad portfolio consisting of such ‘deviants’ has historically been a profitable way of minimizing one’s downside risk while increasing the chances of acquiring ‘winners’. Risk. The flipside of the investing coin, which nobody can avoid entirely. 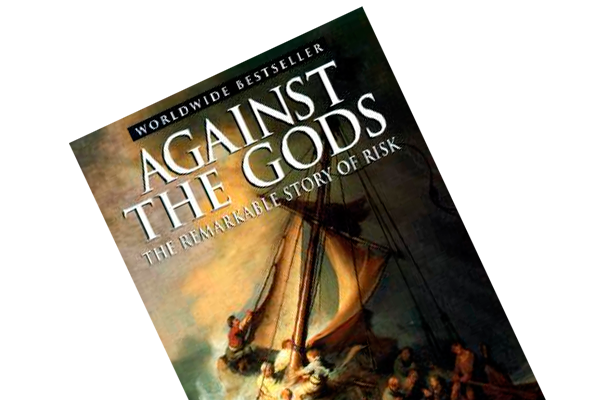 In Against the Gods, Peter Bernstein guides the reader through the risk term’s origins and development, ranging from the 13th century to the present day’s perception of said concept. The book is a cavalcade of portraits that depict how famous mathematicians, philosophers and psychologists paved the way for the concepts that characterizes risk in the 21st century, i.e. probability, deviations, utility and balancing. One of the most powerful quotes in the book can be dated back to 1738: “The value of an item must not be based on its price, but rather on the utility that it yields.” When I read that, I was immediately reminded of a reflection I had while reading Manias, Panics, and Crashes. In that post I wondered whether Bitcoins would become worthless if it didn’t achieve the status as a widespread and acknowledged method of payment. My hesitation about Bitcoins (though the underlying Blockchain technology is marvelous) is grounded in a somewhat restricted utility. At the moment, it seems Bitcoins’ following grows due to the price appreciation, which again produces price appreciation due to a feedback loop (read Irrational Exuberance for an explanation on said term). Without utility, where does this non-cashflow generating cryptocurrency’s value reside? I’m no expert in cryptocurrencies, so my hesitations may be misguided. Hence, let’s instead use Peter’s example of utility value. Imagine a bet between two men, each of whom has a net worth of $10,000. These gentlemen are asked to flip a coin and bet on the outcome, either heads or tails. The winner would cash-in $5,000 from the competitor’s pocket. Would a rational person accept this bet? According to Bernouilli’s utlity hypothesis there is an asymmetry in such a game, which explains why it’s an unattractive proposition. Namely, the $5,000 you stand to lose has a greater utility value than the $5,000 you may gain. If you lose half your net worth, you may be forced to rethink your lifestyle, you’re worse off in negotiations with the bank due to the missing collateral etc. In short, in a zero-sum game as this, the pain of losing $5,000 is greater than the joy of winning an equal amount. Hence, why gamble/speculate unless the utility value of the profits exceeds the utility value of the potential loss? The theory instantly sparked a flashback to Mohnish Pabrai’s method to risk assessment, which is presented in The Dhandho Investor. In said epic book, Mohnish invited the reader into his decision making process. He would consider an investment idea from an array of angels: What is the probability that XYZ will regain its historic earnings power (following a cyclical downturn)? What is the probability that the business will not regain its earnings power? What is the probability that XYZ will not growth, nor decline, and thus have a ‘flat’ free cash flow? What is the probability that the company will be liquidated, and how would the shareholders fare in such an endeavor; would they lose, breakeven or profit? What is the probability that management burns cash and/or destroys assets, so that shareholders will suffer a permanent loss of capital? Having listed all these scenarios, Mohnish would assess the likelihood of each outcome and ascribe a percentage-based probability to it. If the opportunity offered a small probability of capital loss (downside), but a good chance of a large reward (upside), Mohnish decides to invest based on measurement and gut. When we’re labelling a situation as ‘unlucky’, we strip the person who have been the subject of the unfortunate outcome of his or her responsibility. Contrarily, we too rob a successful person of recognition when we’re deeming a given outcome as ‘lucky’. If luck truly is the only factor in both fortunate and unfortunate outcomes, what is the purpose of risk management? Luck is necessary, of course, but you may experience a spike in ‘luck’ if you consistently place bets when the odds are in your favor. Peter explains that “risk management lies in maximizing the areas where we have some control over the outcome while minimizing the areas where we have absolutely no control over the outcome.” (p. 197). 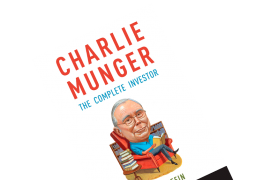 A mix between Warren Buffett’s circle of competence concept (read Warren Buffett Speaks and Lessons from 20 value investing books, part III) and Mohnish’ Dhandho approach helps you to invest in such a manner: Invest only in businesses you understand, and don’t strike unless the probabilities are in your favor (maximizing the upside while minimizing the downside). 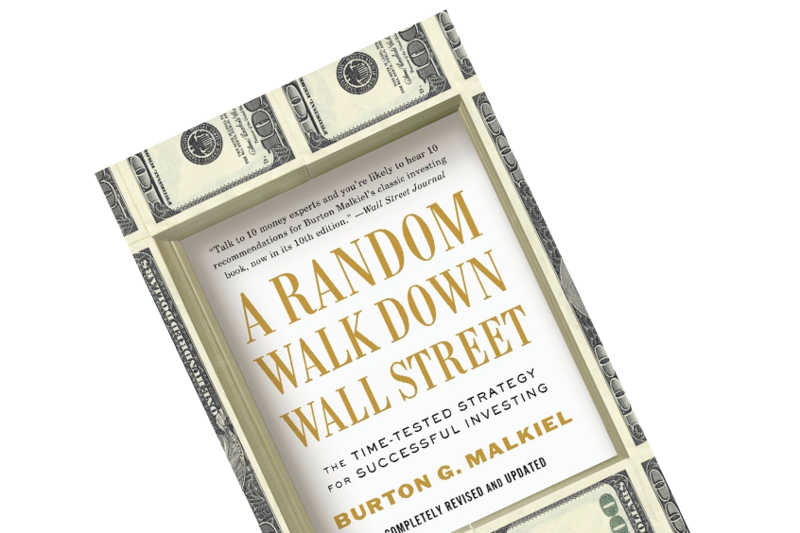 The good ol’ mean reversion tendency (read Deep Value) is a recurring theme in the book. In short, mean reversion is the propensity of stocks to return to their mean value after having deviated from it (either up or down). These fluctuations may be a pot of gold in disguise, as described by Peter: “Much risk-taking rests on the opportunities that develop from deviations from normal.” (p. 151) Constructing a broad portfolio consisting of such ‘deviants’ has historically been a profitable way of minimizing one’s downside risk while increasing the chances of acquiring ‘winners’. In addition to the above theories and concepts, Peter will ‘name-drop’ a lot others, i.e. 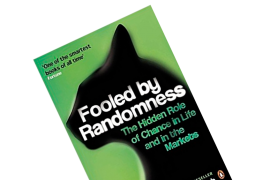 these are mentioned in just the last few chapters: Ambiguity Aversion, Game Theory, Prospect Theory, Decision Regret Theory, the Behavioral Finance paradigm, Rationality Theory and Chaos Theory. Hence, Against the Gods is a collection of theories, historic insights and facts.